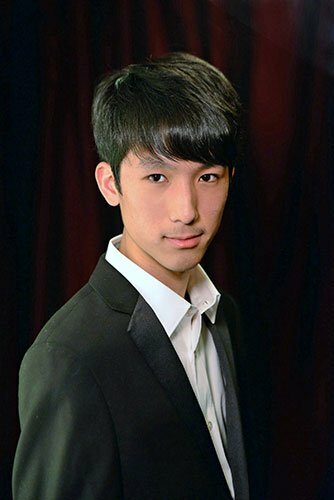 A lanky local teenager with impeccable keyboard technique but inconsistent engagement, pianist Eric Lu performed at the Walnut Hill School’s Keiter Center on Wednesday. In the Chinese Performing Arts Foundation festival he played Mozart’s K.330 Sonata, the Schubert Impromptus D.899, and for the second half the Chopin Preludes. It was a remarkable show technically, but otherwise decidedly mixed. The Mozart and Schubert simply were not much inflected or stroked in any communicative way. They lacked reflection and were low in poetry, everything overly present and similarly powerful. The playing did unfold without flaw, those nimble and confident hands and fingers doing all the right things, rapidly, but most passages sailed forth at the same mezzo and louder levels, accurate yet unphrased (in fact phrases unnoticed), unvaried in dynamics—in total effect, kind of unattended. While the Mozart sounded merely unmusical and undelightful, it was the Schubert Impromptus that made for wincing. Impromptu No. 1 is an agitated and unhappy thing in general but must not be played that way. No. 2 was inappropriately dramatic, made to sound like not-good Beethoven; calm down, I muttered to myself. With the astounding No. 3, an approach recognizing its pillowtalk is something youth as a rule don’t know much about, but adolescent monochromaticism, so energetic and defined as to turn it into big uninteresting Grieg, is not a good alternative. No. 4 went by relentlessly pointed but still without gradation in the phrasing, a discrete passage-by-passage traversal, although it did seem Lu was attempting poetry, abstractly. I wondered about what Lu’s teachers tell him. Rarely does one hear such confident, deft, close to impeccable playing unfurl with so little understanding and fondness. To cut down on my wincing, I moved back a few rows for the Chopin Preludes. It turned out there was no need. This work, manifestly, was what had been prepared in every sense, with real emotional engagement and commitment and more. Not a single measure approached earlier brutalities; in fact it came across as one of the alltime outstanding performances of the Preludes I have heard. It cohered, individually and moving from one Prelude to the next; the dramas developed naturally; it had dynamic range, subtle voicing, rounded and lovely legato singing, propulsion, blurry blurs, and above all artist enjoyment. Lu could teach this piece to a friend and would know exactly why he was emphasizing what he did. The 40 or so minutes totally effaced the recital’s first half. Lu’s encores comprised that strangely jabbing, morose Schubert Hungarian Melody D.817, where the composer peers ahead to Granados, and then the Chopin Waltz in A-flat Major op. 42. The by-then-tired pianist, like any good teenager, just couldn’t be done with the latter soon enough, practically bolting the bench before the final cadence. And who could blame him?